Did you know that working for Zappos, a company on the GameChangers 500 list of the world’s top purpose-driven companies, is so desirable that it’s actually harder to get a job there than it is to be admitted to Harvard? Related: Is It Ever ‘Too Late’ To Get Your Dream Job? It’s true. 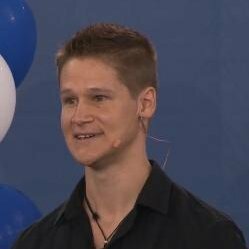 In 2013, 25,000 people applied for jobs with Zappos, and they only hired 250. That means that 99% of people who applied didn’t get the job. So, what makes these types of companies so darn desirable? (Because there are thousands more out there.) And how do you get the attention of a company like this and get the job? One reason why people love these types of organizations is that they take empowering their employees and creating a phenomenal workplace to the NEXT LEVEL. 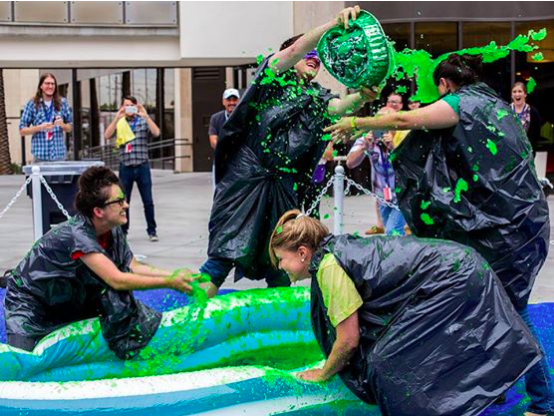 Employees at Zappos enjoying “Customer Service Week” with a Slime Fight! Another reason is that we’re bored out of our minds - and want to do something that excites us. In other words, we’ll watch Office Space, get fired up about finding a job we love, and research some companies we find on Monster.com or Craigslist... And then make one small change to our resume or cover letter and fire it off to as many companies as we can find. Here’s the problem with that approach. You saw the stats - Zappos only hired 1% of applicants, and you can bet other Game Changing organizations like them have similar numbers. Many people continue to suffer in their miserable jobs while getting more and more frustrated about being the 99% who don’t get the results they desire. A friend of mine calls this the ‘Monster Effect.' It’s when you scan huge job boards hoping to find something that jumps out at you... And then submit your resume to any position that looks moderately interesting. Guess what? It’s simple. If you want the kind of job we’re talking about here - with insanely desirable companies like Zappos... Where you wake up excited to go to work - not knowing if there’s going to be a slime fight or a laser tag party that day... It’s likely not going to be at the kind of place that will hire you with a traditional resume alone. Zappos sure won’t. You need to make a real impression on them by doing something creative and unique that showcases what you bring to the table. You need to really love their organization, mission, and culture - otherwise you just won’t make the cut. YouTube videos, websites, and mailing physical packages with a unique presentation are some great ways to stand out. Every company will be unique, so there’s no “1 size fits all” approach here. Remember, be creative, authentic, and unique - and show them how you can add value to their organization. That’s how you’ll get your dream job. And if you want a little extra help finding the best companies out there (like Zappos) and getting their attention, check out the free video I put together for you here. Good luck!